This week, I’ve been experimenting with a series of different festive-themed manicures. 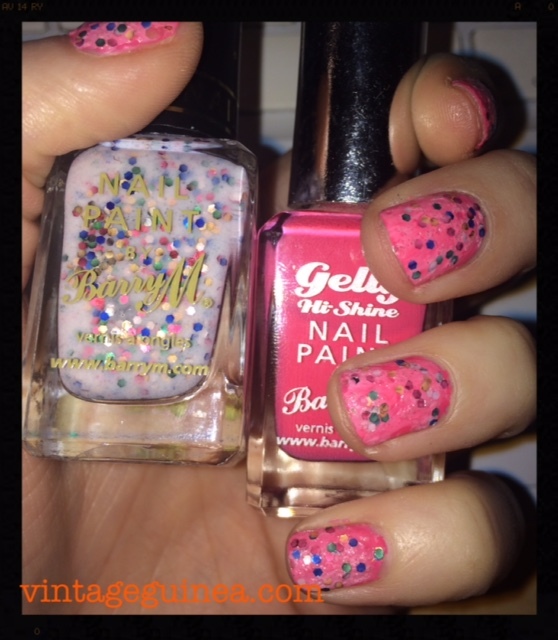 All these looks are really easy to create and just rely on choosing a base colour and a complimentary glitter top coat. Don’t forget to use a coating of clear polish to seal the manicure as glitter coats can chip easily. 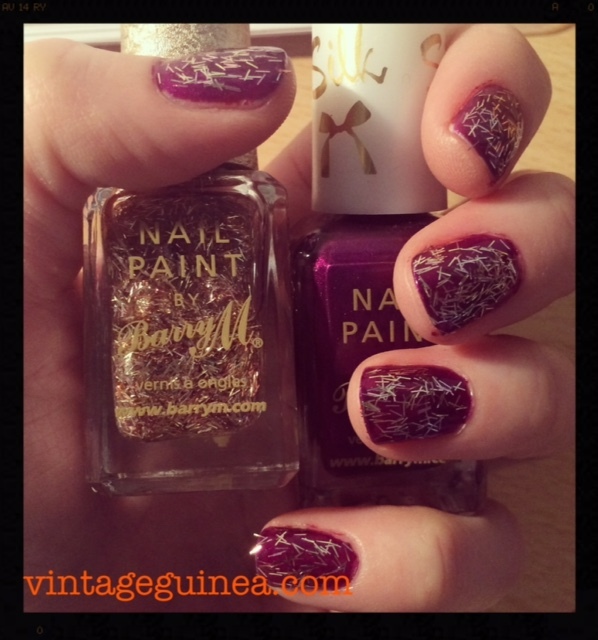 What are your favourite glitter mani combinations for the festive season? 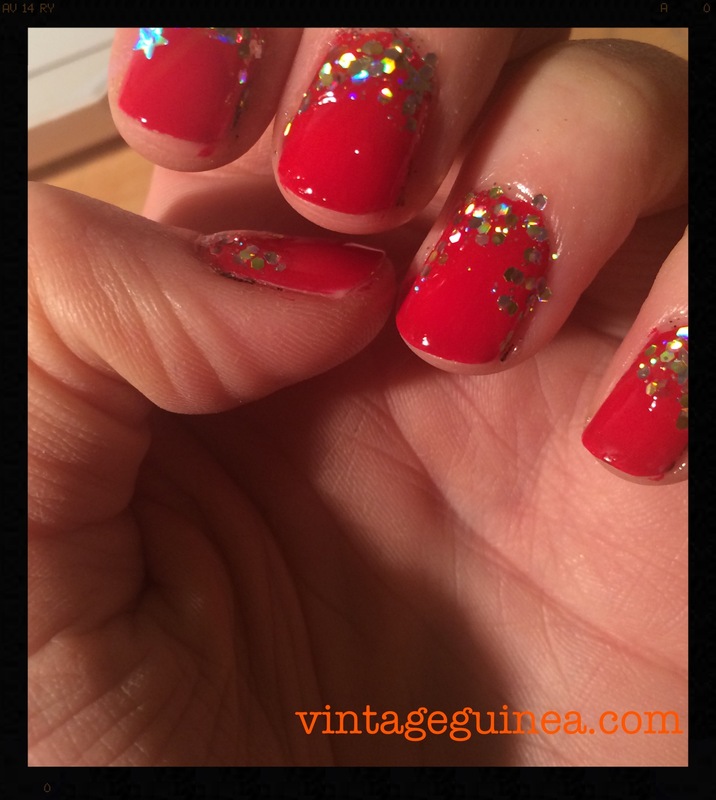 Red nail varnish – making you look glam even on the days when you don’t feel it! This one is Blood Orange by Barry M. It’s a nice vintage orangey-red shade as the name suggests.